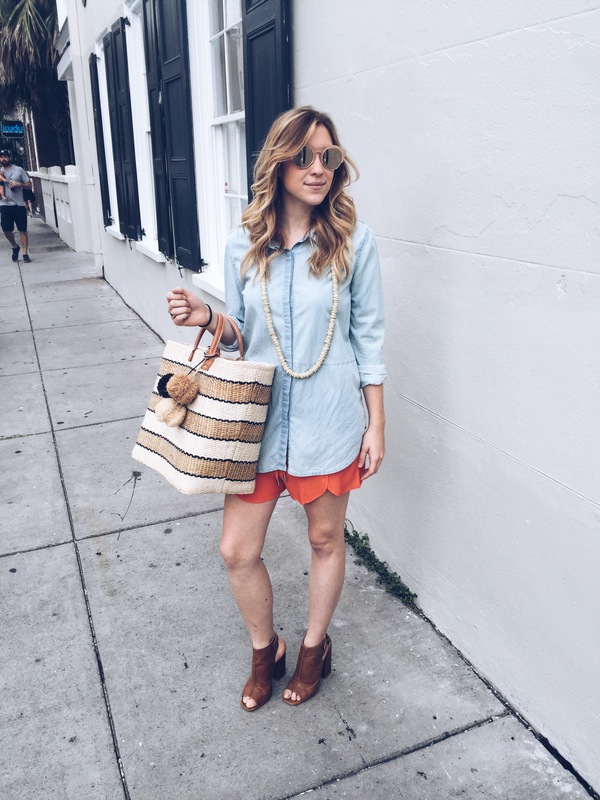 Beckett Boutique | King Street, Charleston, SC » I Had My Boyfriend Dress Me in 5 Different Outfits…. Results Were Awesome! I Had My Boyfriend Dress Me in 5 Different Outfits…. Results Were Awesome! First, let me get this statement out of the way. This is in NO way a “what men really want from their girlfriends” post. Relationships should be based on mutual love and respect and no one person in it should have to change their personality or themselves to fit the other. With that said, I decided to try this little experiment for three reasons. 1) J* has always been an great dresser! However, like a lot of men, it is exceptionally easy (and less fun) for him to dress in comparison to a woman, and specifically a woman like myself who is obsessed with fashion. Khakis and a different color button-up make up most of his closet. He once looked to me with puppy dog eyes, pleading for help in making a very serious shirt decision. He then proceeded to hold up two of the EXACT same button-up shirts but with two slightly different colors to chose from. I pity his hardships, I do. SO, I wanted to see what would happen if he flexed his inventive style muscles and tried to create fashion masterpieces. 3) It was hilarious and so much fun. 4th of July, Summer BBQ, Date Night, Work Outfit, and lastly his best interpretation of a Trendy “Fashion” Outfit. 2) We (a few Beckett girls were present) / I could not help him pick out clothing in any way. However, we did have to help him with most of the accessories when it became clear this was a total stumper for him. I will point out which was which. In case you were all nervous, he actually did surprisingly well and picked out some very killer ensembles. That top needs a much more tapered pant to go with it and a gold necklace to brighten the deep red. I could be hiding several fanny packs around my mid-drift and an 80 year old lady under this outfit and none would be the wiser. I also felt I could have been very popular at a 70s Star Trek convention. BUT for an outfit that correlates with that description, it ain’t half bad kids. I give him a B for Boy, I see where you were going there but something went terribly wrong. I loved the colors on this one! The faded light blue and the bright orange were a perfect balance. It was casual enough for a beer and burger kind of gathering, but still looked put together. It was also super comfy which always gets a plus in my book. J chose the necklace and sunnies, we threw in the bag. My only complaint here was with the length of the top and its generally bagginess. Had I been the one behind the wheel, I would have also thrown in a few layered necklaces to visually break up the large denim canvas. I was really impressed with the thought behind this one though and would definitely wear this around town if the shirt were slightly smaller. B+!! Bravo J Bravo. I was sure he would take this category’s opportunity to throw me into Beckett’s skimpiest brazilian bikini and call it a good day. However, being the Charleston-raised southern gentleman that he is, he put me in a more conservative sundress. Not just any baby doll sundress mind you. I was really happy that this one had more of a stylishly edgy flare to it rather than your everyday girly fit-to-flare (he did find it at Beckett after all ;), which I loved him for! I give him a solid B+ for killin that classy vibe without being too boring. He picked the necklace, I threw in the clutch. Hello everyone, meet my favorite new outfit! This is so “me” I want to sleep in it and never take it off. I was surprised enough to find this handed to me that I did not have a single playful joke to throw at Js expense. The trendy and cool-girl, frayed denim, which I now need to own, balances the girly pink silk and crochet top both in vibe and in form. The two perfectly compliment each other! I added the necklaces which I actually don’t think quite work. They read more tribal and muddles up all the balance I just ranted about. However, a touch of a cool blue accessory would have been the “pies de resistance”. This one unsurprisingly gets an A++ for making me google how to spell a French phrase.